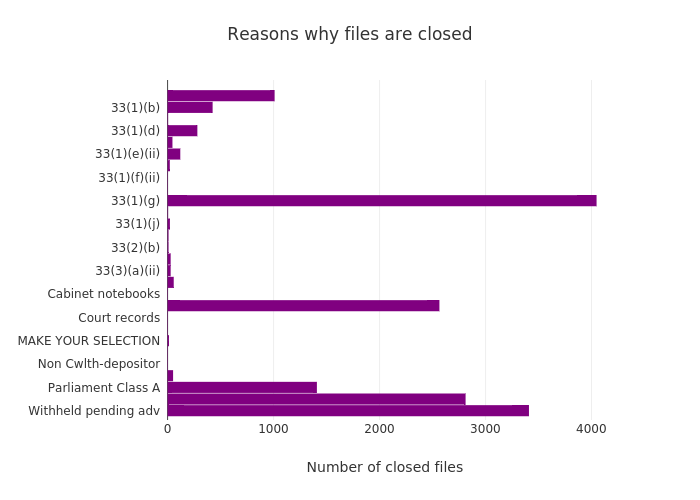 Wragge's interactive graph and data of "Reasons why files are closed" is a bar chart; with Number of closed files in the x-axis. The x-axis shows values from -165.8492028799633 to 4269.1002854682665. The y-axis shows values from -0.7967300689752612 to 28.34597160841181.